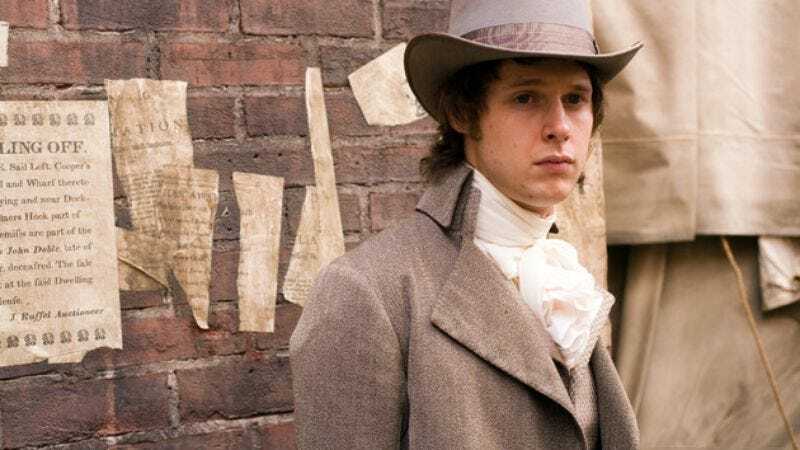 BBC America’s upcoming Dirk Gently comedy sci-fi series has cast Samuel Barnett as the show’s titular detective/con-man, Deadline reports. The 35-year-old British actor—who viewers might recognize from the Wachowskis’ Jupiter Ascending and HBO’s John Adams—will star opposite Elijah Wood, who has already signed on as Gently’s reluctant assistant Todd. The eight-episode series, adapted for television by Max Landis (Chronicle, Me Him Her) from Douglas Adams’ Dirk Gently’s Holistic Detective Agency and The Long, Dark Tea Time Of The Soul books, will follow Gently and Todd as they stumble in and out of surreal and silly situations in an effort to solve a season-spanning mystery that, based upon the source material (Adams is also the author of the five-part Hitchhiker’s Guide To The Galaxy “trilogy”), will likely be as convoluted as it is ridiculous. The twice-Tony-nominated Barnett is the second actor to play the character, after Stephen Mangan originated him in a four-episode series that aired on BBC4 in 2010 and 2012. Barnett can also be seen this May in the third season of Showtime’s horror drama series Penny Dreadful.